Eno advises oil and gas investors, operators, landowners, disposal and wastewater companies, and other clients in regulatory, litigation, appellate, and transactional matters before state and federal courts and the Texas Railroad Commission. 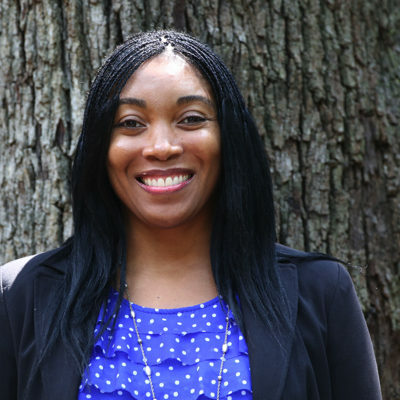 During law school, she worked as a law clerk for Judge Michael Bagneris at the Civil District Court for the Parish of Orleans, and as an extern for Judge Ivan Lemelle at the U.S. District Court for the Eastern District of Louisiana. Prior to joining the firm she worked as research attorney for the Ninth Court of Appeals in Beaumont, Texas, where her responsibilities included conducting legal research and writing appellate opinions and memorandum opinions. As an enforcement attorney for the Department of Savings and Mortgage Lending, in Austin, Texas, she served as first chair in enforcement hearings before the administrative agency. As an attorney for Bickerstaff, Heath, Delgado, Acosta, LLP, in Austin Texas, she worked in the administrative law section and drafted amicus briefs that were submitted before the Texas Supreme Court and U.S. Court of Appeals for the 5th Circuit. Ring v. Trey, No. 08-15-00080-CV, 2017 WL 192911 (Tex. App. – El Paso Jan. 18, 2017, no pet. ), second chair co-counsel in case that held that suits for damages caused by injection wells can be heard by district courts. First and second chair responsibilities in protested and unprotested hearings at the Texas Railroad Commission. Second chair responsibilities in state and federal court litigation involving the ownership of oil and gas interests and breach of contract cases. Successfully obtained multiple settlements and dismissals on summary judgment dispositions. Drafted several appellate briefs before Texas courts of appeals and the U.S. Court of Appeals for the 5th Circuit. Edwards Aquifer Authority v. Day, amicus brief writer for Texas Farm Bureau in support of the ownership of groundwater in place. Edwards Aquifer Authority v. Day, amicus brief writer for Canadian River Municipal Water Authority in support of the ownership of groundwater in place. Texas Rice Land Partners, Ltd. v. Denbury Green Pipeline-Texas, LLC, amicus brief writer for Texas Farm Bureau in support of common carrier status based on factual considerations that encompass more than merely filing out a box on a Texas Railroad Commission form.